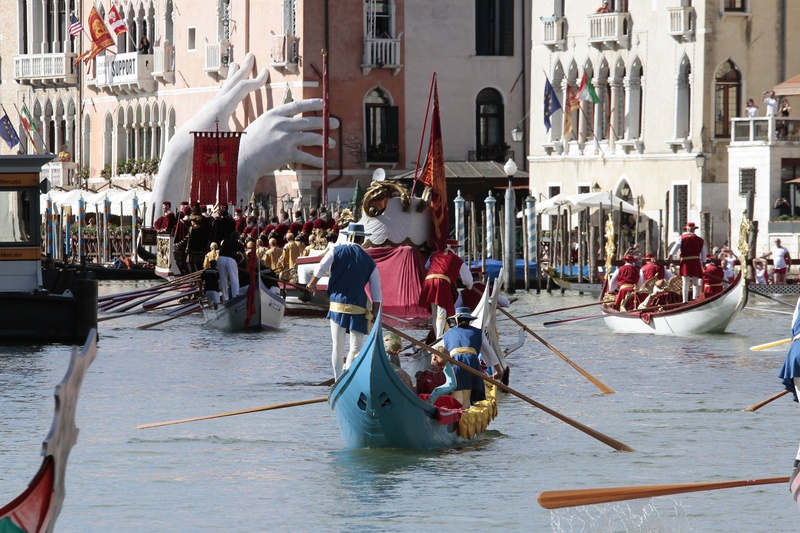 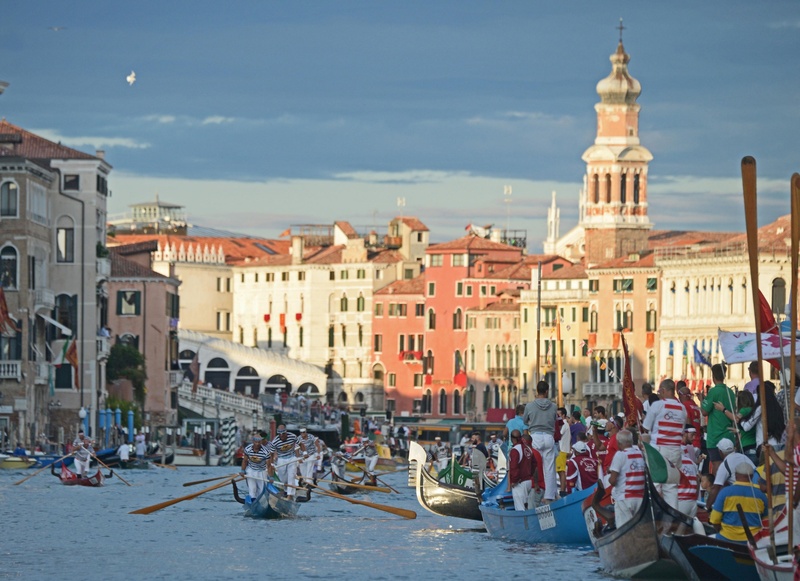 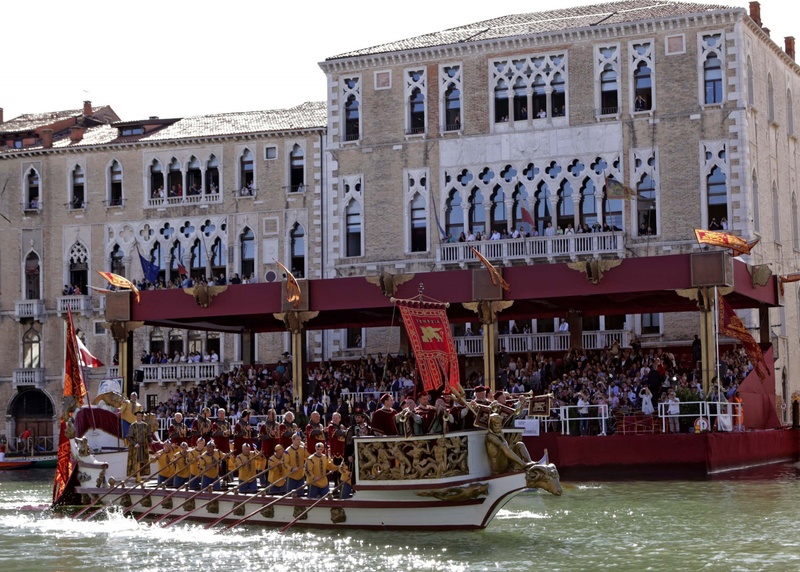 You can attend the Regata Storica comfortably seated on the uncovered floating stalls set up along the Grand Canal near Campo San Polo. 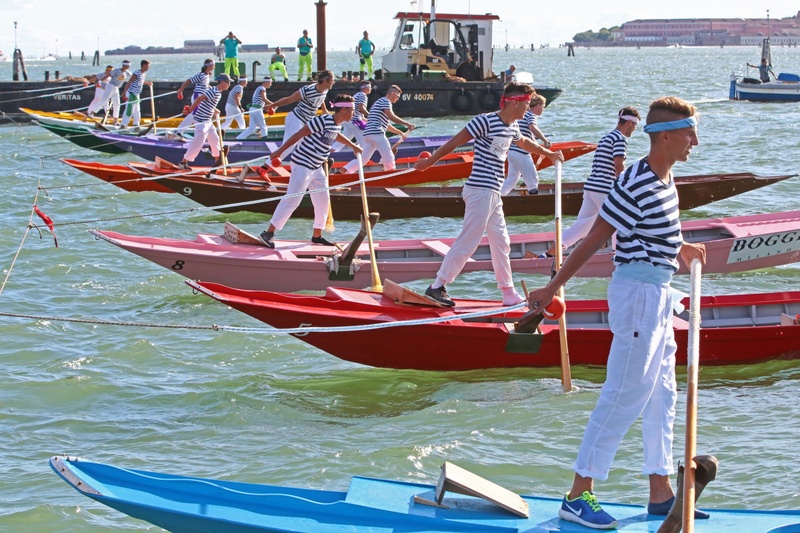 The floating platform is set in one of the most beautiful and spectacular points along the route, and allows to attend the historical water pageant and all the regattas. 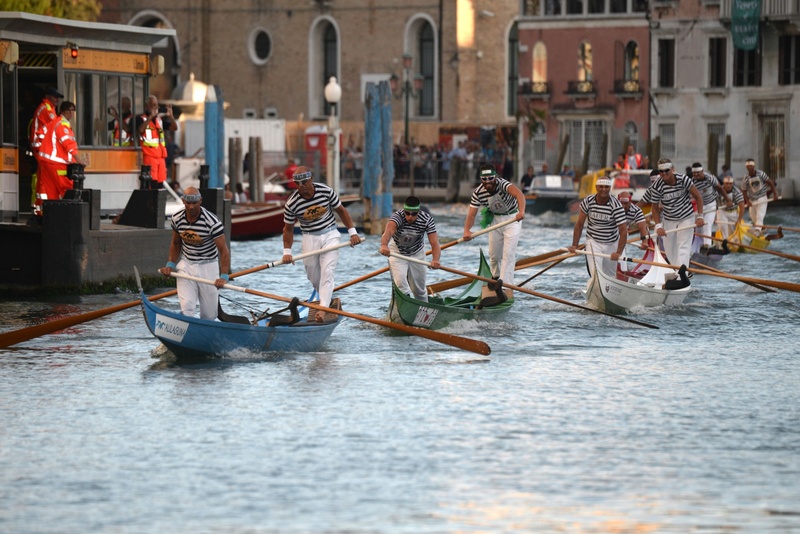 Water parade in Grand Canal, presentation of the crews, blessing of the belts of all regattas and of the boats. 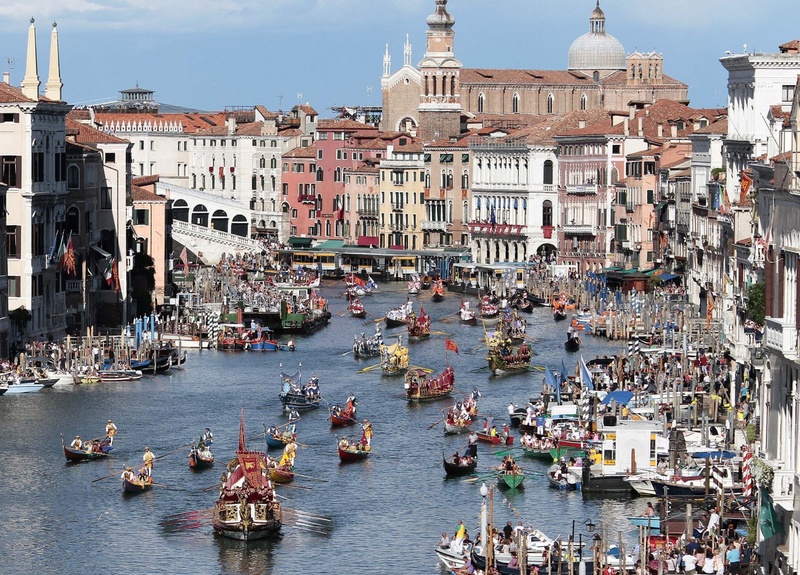 Water parade in Grand Canal and party at Erbaria di Rialto (music by Orchestra Popolare di Venezia and watermelon). 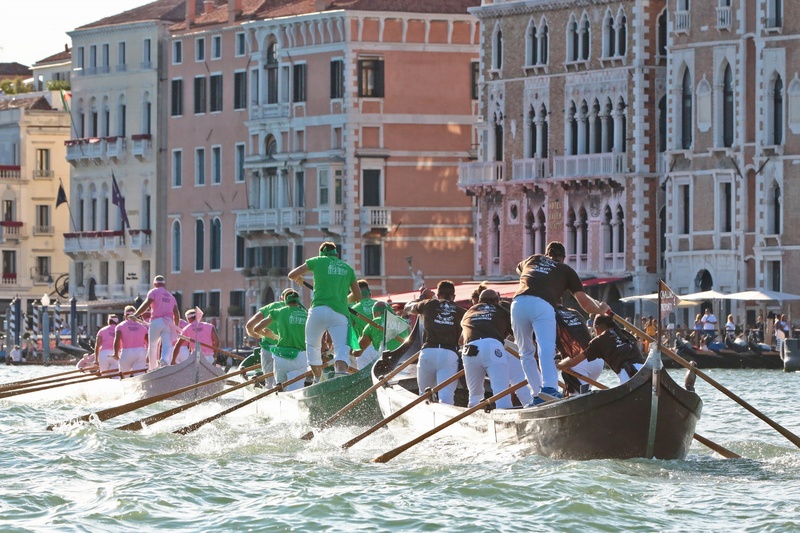 In partnership with Associazione Rialto Mio. 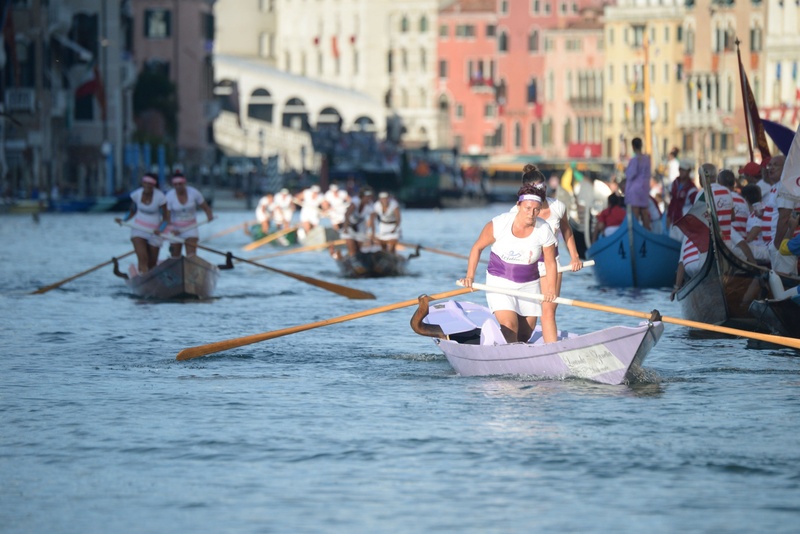 two oared regatta on mascarete dedicated to children. 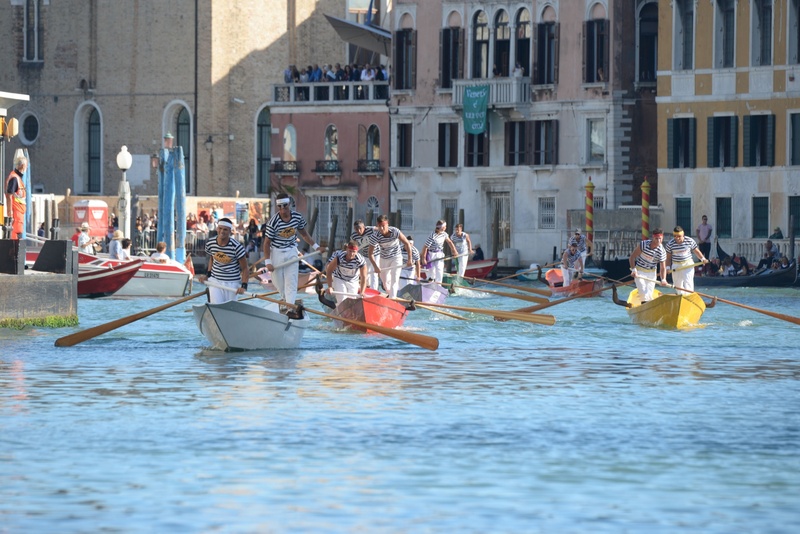 Challenge on eight-oared galeoni boats by the crew of Ca’ Foscari and Iuav Universities, the University of Padua, the University of Vienna, and the University of Warwick. 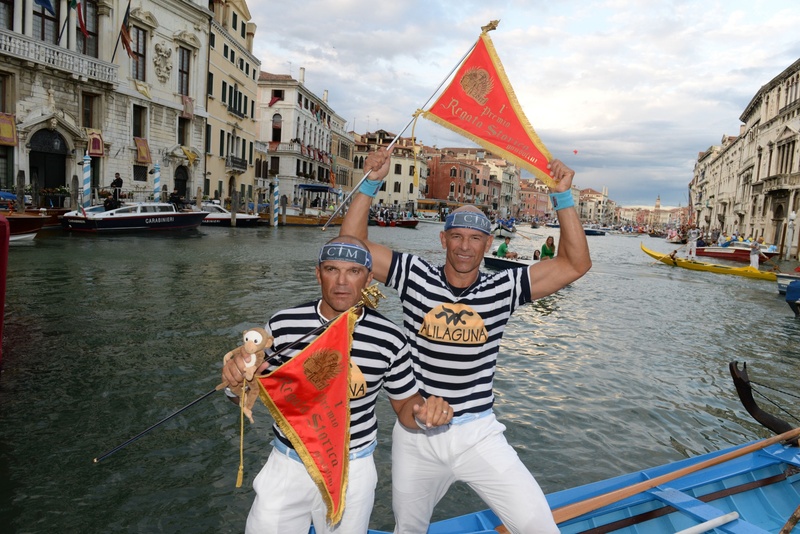 Repeats every week until Sun Sep 03 2017 except Fri Sep 01 2017. 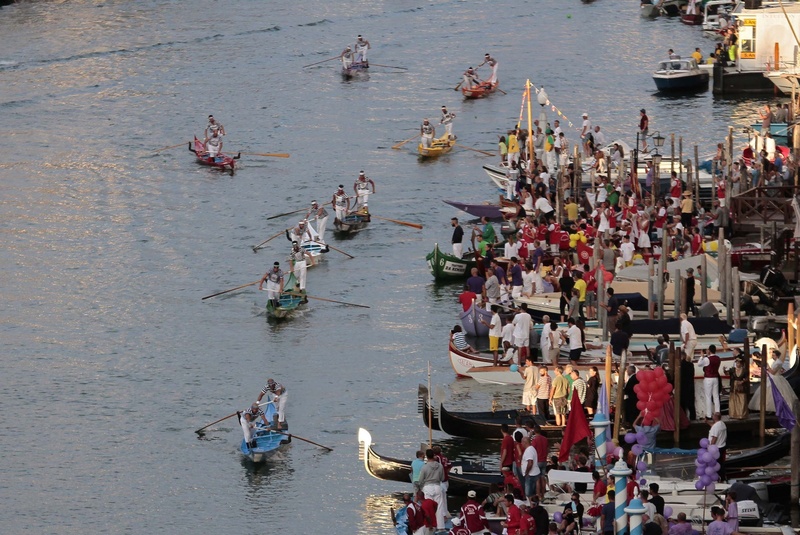 Also includes Thu Aug 31 2017, Sun Sep 03 2017. 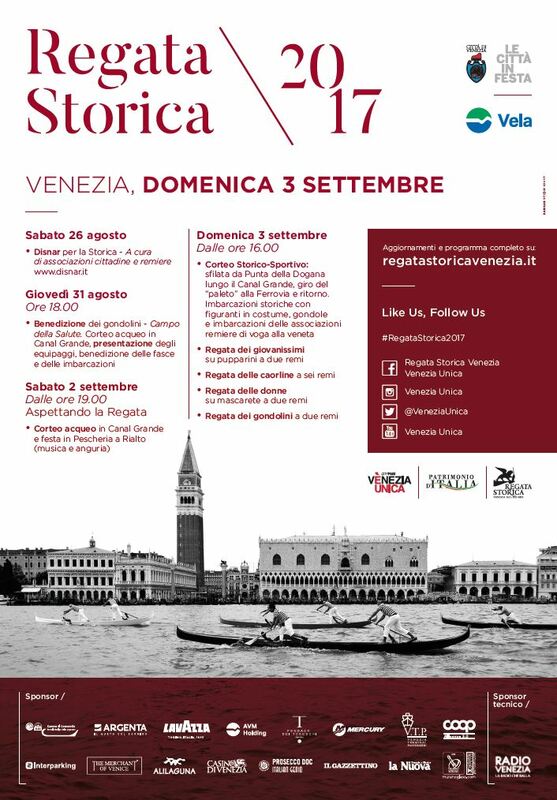 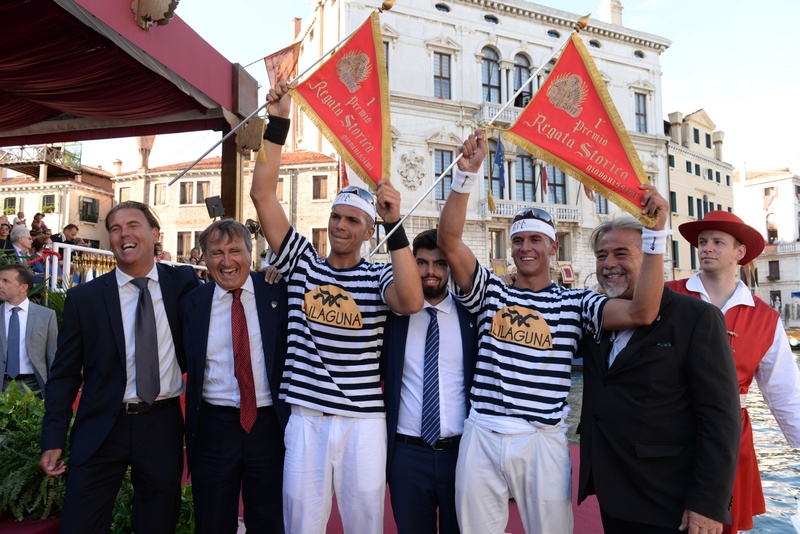 On Saturday August 26, 2017, in the week before the Historic Regatta, 14 large, self-organized outdoor tables will be prepared in 14 different areas of Venice city centre, the islands and the mainland.